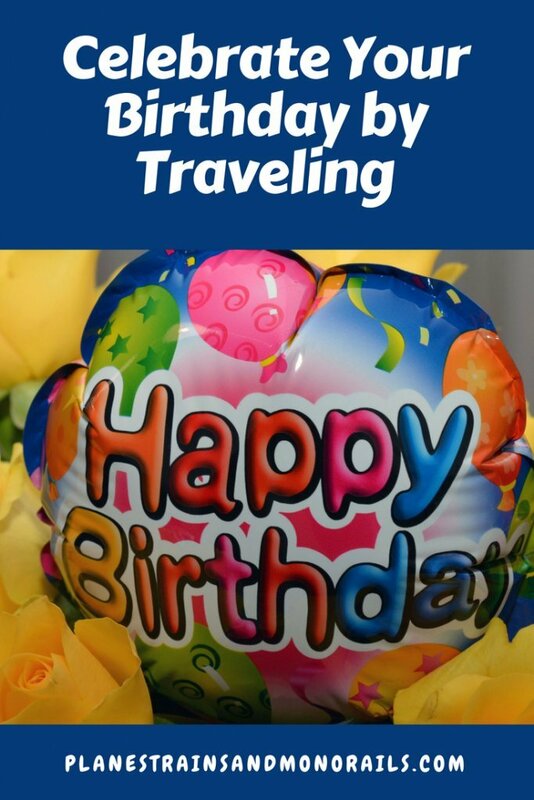 You are here: Home / Holiday Travel / Birthdays / Celebrate Your Birthday by Traveling! Birthdays are always worth celebrating! It is an accomplishment that you survived another year. This year, why not try something new: take a trip for your birthday! I love traveling for my birthday! It is so much better than cake and a party. Here are five reasons why you should celebrate your birthday by traveling! Reason #1: Memories are better than stuff. We all have so much stuff these days! The beauty of celebrating your birthday by traveling, though, is that you can trade stuff for memories. Have your loved ones give you travel money instead of gifts. Use that money to go have fantastic experiences and see amazing sights which will create memories that will last much longer than things. And memories made on birthday trips just seem to be sweeter than most. Plus, the best part of replacing items with memories is that you don’t have to dust your memories! Reason #2: You get to spend your birthday with your favorite people. When you travel for your birthday, you get to choose your travel companions. This means you get to spend your special day with your favorite people. You don’t have to worry about that one friend of yours bringing her annoying boyfriend to your party or having your cousin, whom you don’t get along with, showing up uninvited. Travel allows you more control over who celebrates with you. I spent my birthday last year in Fiji with my two favorite people! Reason #3: It guarantees you get to do something new and fun on your birthday. Yes, it is possible to do something new and fun for your birthday even if you stay at home. But, if you travel to a new destination, everything about your day will be new. There is an added sense of excitement when you are exploring a location for the first time. This can make your birthday feel more fun and special. 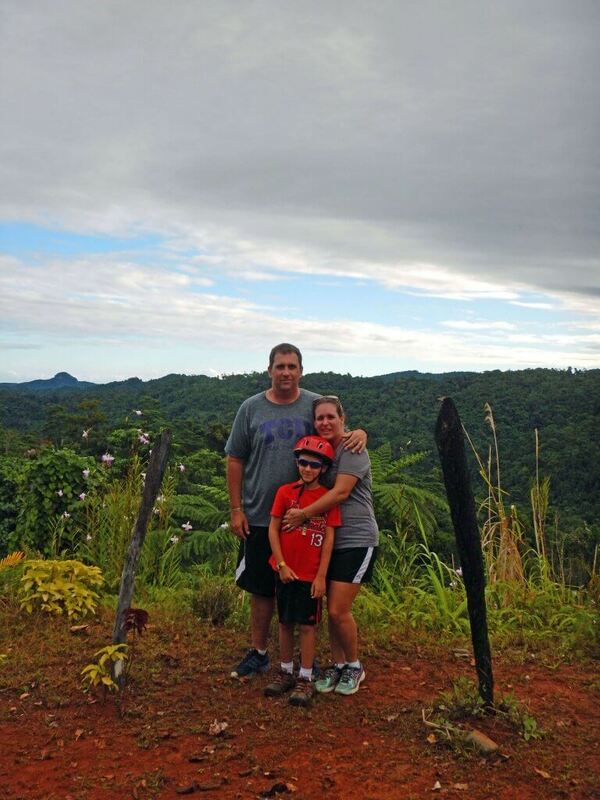 One of my favorite birthday trips was last year when we took a trip to Fiji. 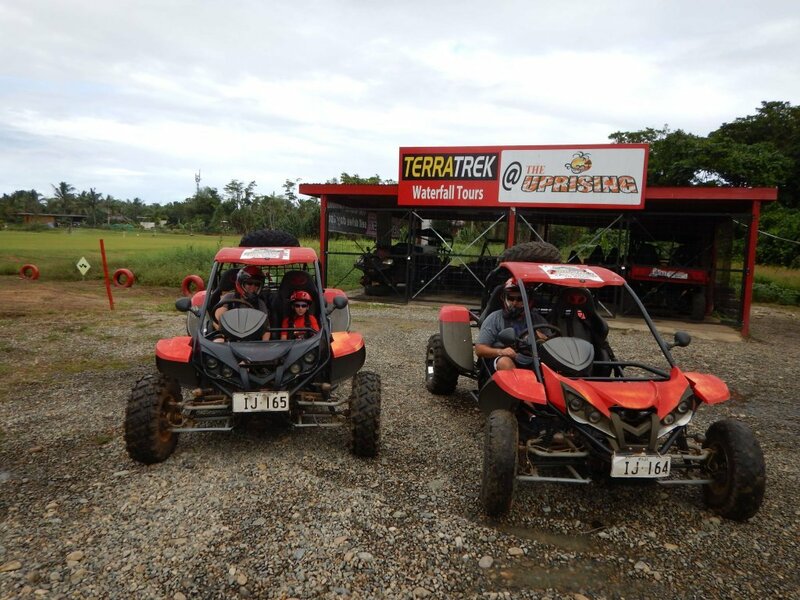 The highlight was a guided tour through the rainforest on dune buggies. It was so much fun! Another option is to travel to a favorite destination and plan a new restaurant or activity for your birthday. This will give you a taste of familiarity mixed with the excitement of trying something new. A couple years ago, we took my son to Disney World for his birthday. 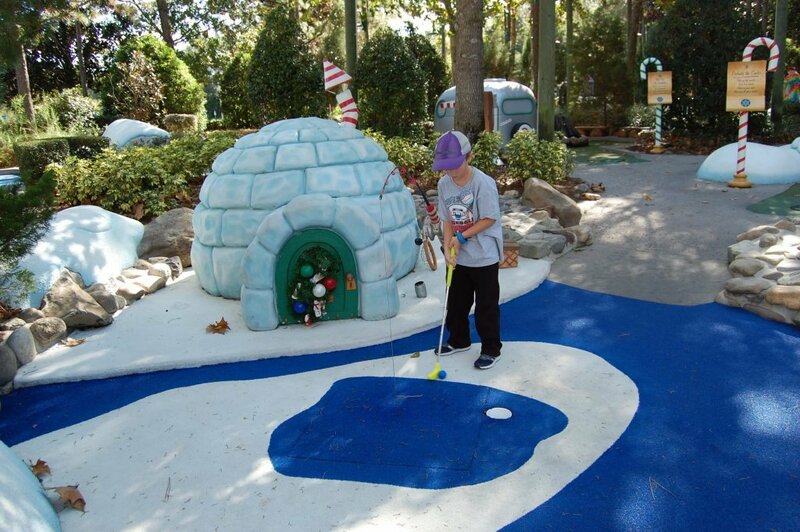 While he had been there before, we took him to play miniature golf on one of Disney’s courses for the first time. It was his favorite activity of the trip! He had so much fun, he didn’t want to leave. My son had a blast playing mini golf for the first time on his birthday trip to Disney World. Reason #4: You get to celebrate for more than a day. Birthdays are great, and sometimes, you want to celebrate for more than just one day. When you celebrate your birthday by traveling you get to do just that. You get to be the birthday girl for the entire length of your trip! A birthday trip gives you a double excuse to splurge and spoil yourself. What better way to make you feel special and loved than taking a trip where you are the center of attention?!?! Reason #5: It ensures you don’t have to work on your birthday. One of the worst parts of being an adult is having to work on your birthday. But, it doesn’t have to be that way. Why slave away on your special day when you could be relaxing on a beach or visiting some new sights? To get out of working on your birthday, plan your vacation during your birthday week. Take a trip to give yourself a much deserved break. Getting away from your day to day routine may just be the best birthday gift you could give yourself. This was way more fun than working on my birthday! 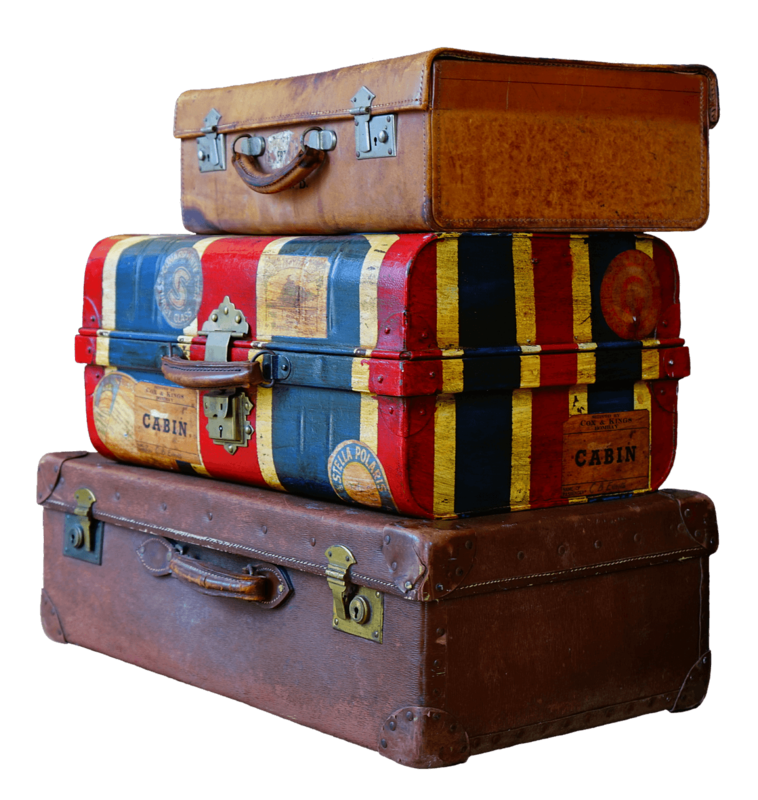 One of the best ways to maximize your birthday fun is to celebrate your birthday by traveling. Planning a trip for your birthday will ensure you don’t have to work and get to do something fun and new on your special day. It also allows you to expand the celebration to more than just one day. Traveling for your birthday is a great way to spend the day with your favorite people. Traveling is my favorite way to spend my birthday. You should give it a try this year! Happy travels!